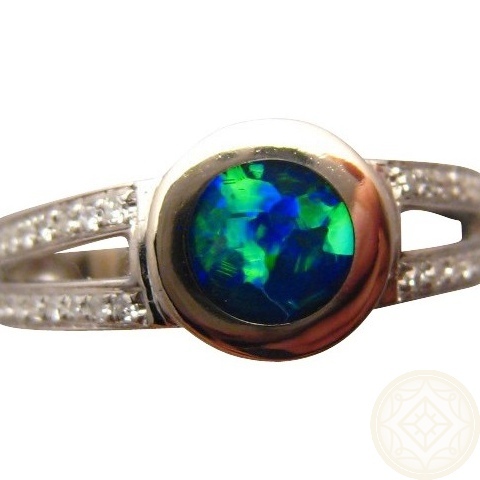 Round Blue Green Opal on a 14k Gold Ring with Diamonds. 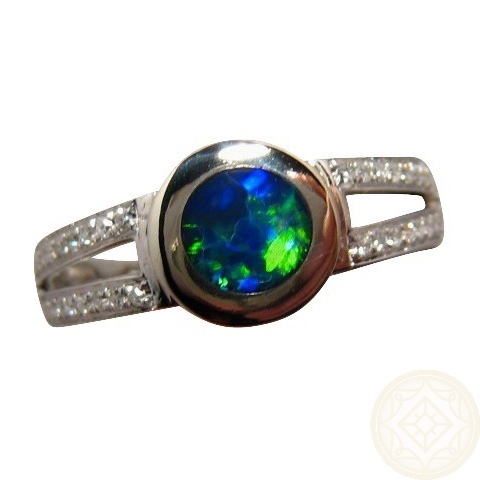 Opal Ring with Diamonds for women. 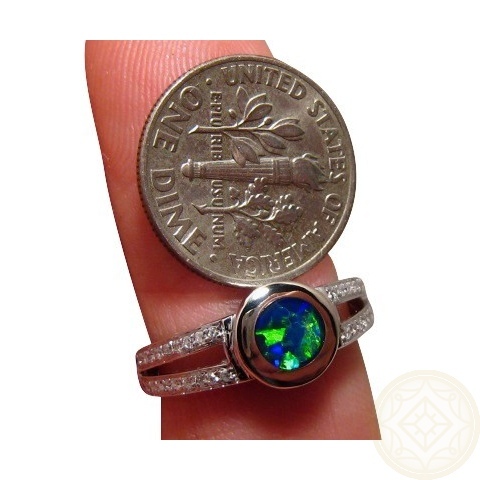 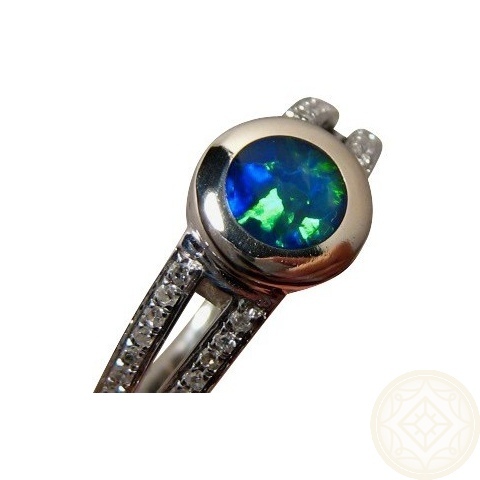 14k White Gold Ring set with one Natural Lightning Ridge Crystal Opal. 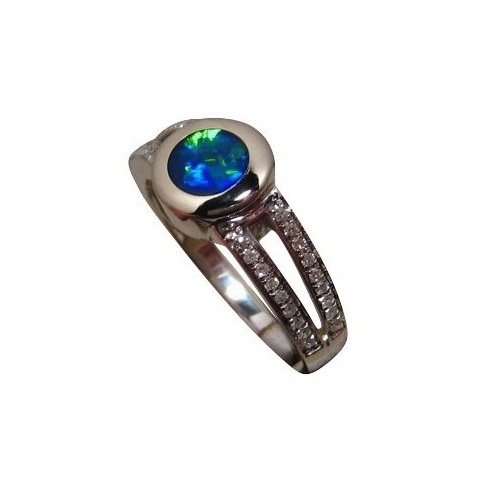 The band is split at the top and joins towards the bottom with small Diamonds going down on each side of the Band.